I’m so glad Tie Dye Diva has begun drafting ladies’ patterns because I’m pretty thrilled with this one! I’m still healing from my fall, but I didn’t want to miss sharing this with you. If you’re anything like me you may already be thinking about what you’re sewing for the holidays, including wardrobe pieces. For me, this is going to be the pattern I make in a variety of versions and fabrics. This cropped version will pair perfectly with a cute little vintage inspired holiday tea dress! Releasing today is the Copeland Cardi (*afflink) for ladies. 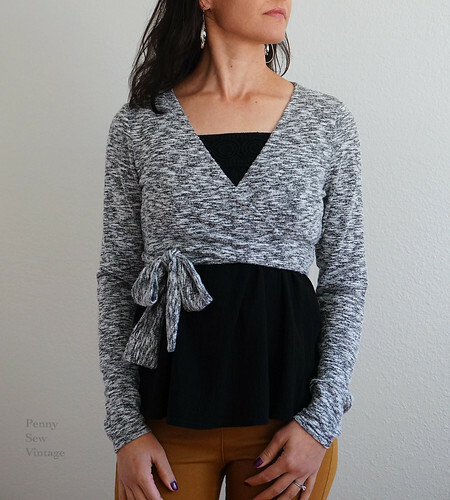 It includes a tie front cardigan or ballet wrap sweater option with three sleeve lengths, it can be made either cropped or hip length, and you can select a fully lined version or hem it. It has a very flattering fit on all body types and is available in sizes 0-26 (XS to 3XL). It’s on sale through November 9th for only $6.50 and will be $9.95 after that. 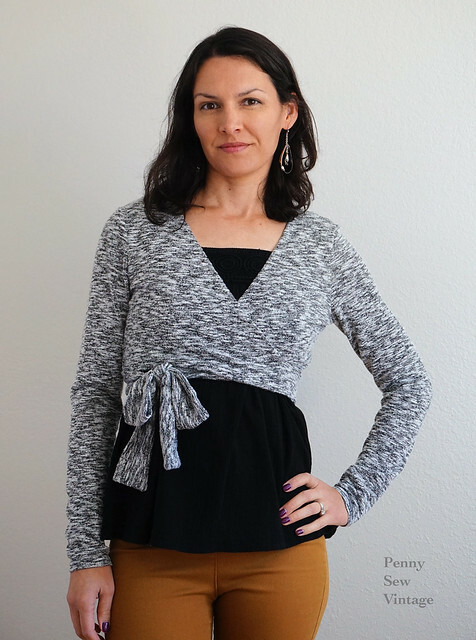 I had this wonderful brushed sweater knit in my stash from Cali Fabrics, and I love the way it turned out in the cropped ballet wrap version. Mine is fully lined, XS, and I didn’t make any fit changes at all. For more pics of the Copeland Cardi on the other testers join Tie Dye Diva’s Facebook Group. 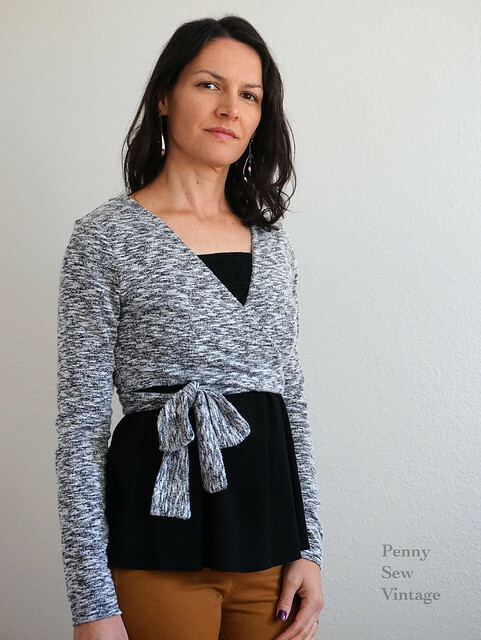 This is seriously one cute cardigan pattern!